Carl and Eunice Booker found the first cider mug in this pattern, so Bill Edwards named the pattern for them. The glass is clear with a delicate marigold overlay and nicely rendered flowers. 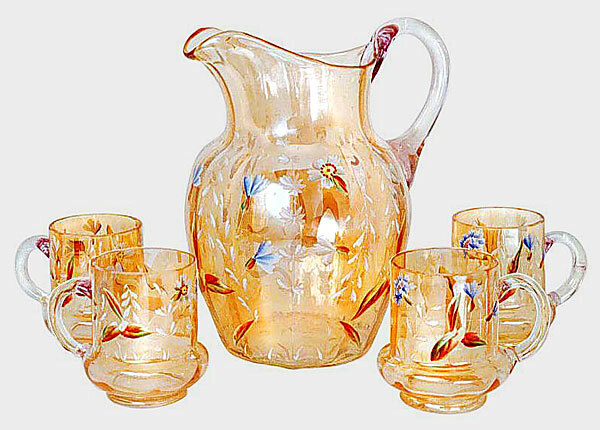 These pieces sold at a 1994 auction; the pitcher brought $600, the mugs $160 each. In 2008, a five-piece set sold for $210. A creamer or milk pitcher has also been reported.